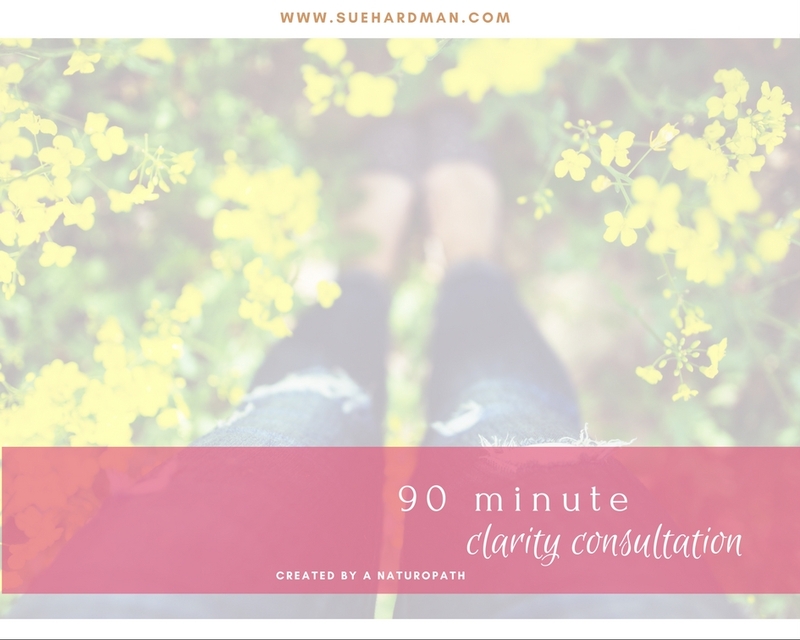 The fastest way to upgrade your health and your lifestyle – a virtual or face to face private coaching session with Sue to create and customise a lifestyle routine that works for YOU. In just 90 minutes, we’ll design a plan to optimally fuel your body, regain control of your wellbeing, and build a solid foundation so you can live your fullest potential and discover what’s possible for you. We’ll look at what you’ve tried in the past, get to the bottom of why certain things worked and some didn’t, so you can make choices that are right for YOU. Instead of being inundated with more information, you’ll complete the session with a clear plan of action so you can take out the guesswork, focus on implementation and see results – whether it’s losing weight, gaining energy, relieving mood swings and depression, overcoming digestive issues, or getting rid of mystery aches and pains. Most importantly, you’re determined to live a healthy, happy, stress-free life that allows you to spend more time with those who truly matter. When you change what you eat and how you fuel your body, you empower yourself to take back control, make better decisions, and prioritize YOU. Only then can you be the best to your loved ones. Send me an email sue@suehardman.com and we'll get started.